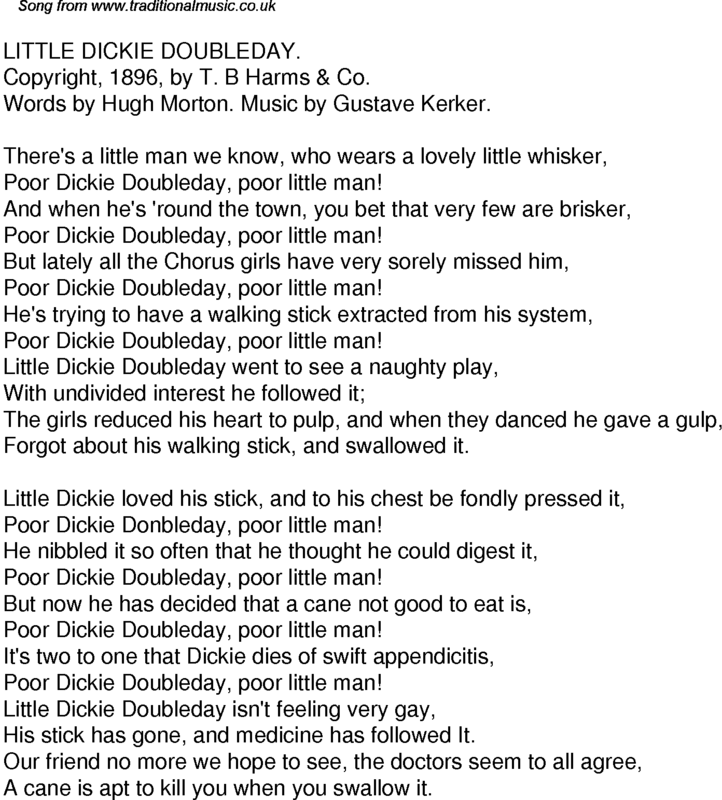 Copyright, 1896, by T. B Harms & Co.
Poor Dickie Doubleday, poor little man! Forgot about his walking stick, and swallowed it. Poor Dickie Donbleday, poor little man! His stick has gone, and medicine has followed It. A cane is apt to kill you when you swallow it.